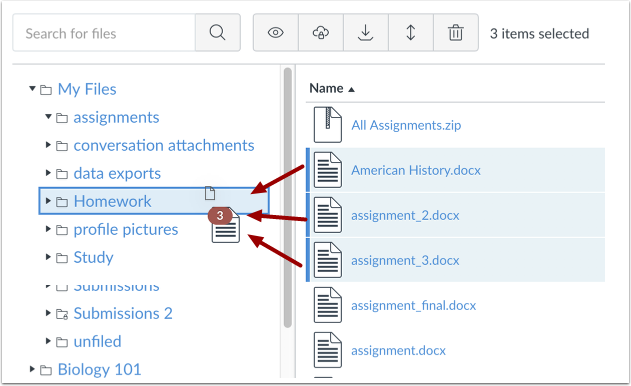 You can move and organize your personal and group files. Files are organized in alphabetical order. 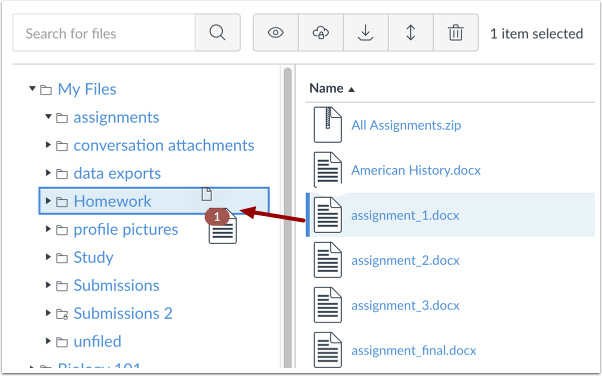 While you can still move files into folders, you cannot rearrange the alphabetized structure of the files and folders. Note: Files that have been submitted as part of an assignment cannot be moved. To select multiple files, press the command key (Mac) or the control key (Windows) while clicking the line for each file you want to select. To select all files, click the command + A keys (Mac) or the control + A keys (Windows). 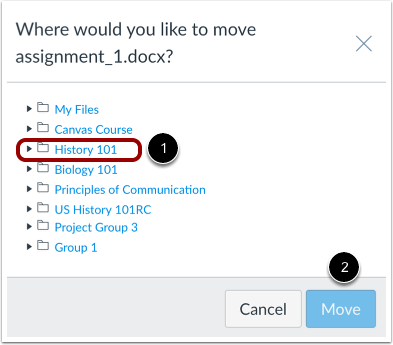 Previous Topic:How do I view group files as a student? Next Topic:How do I rename a file as a student? 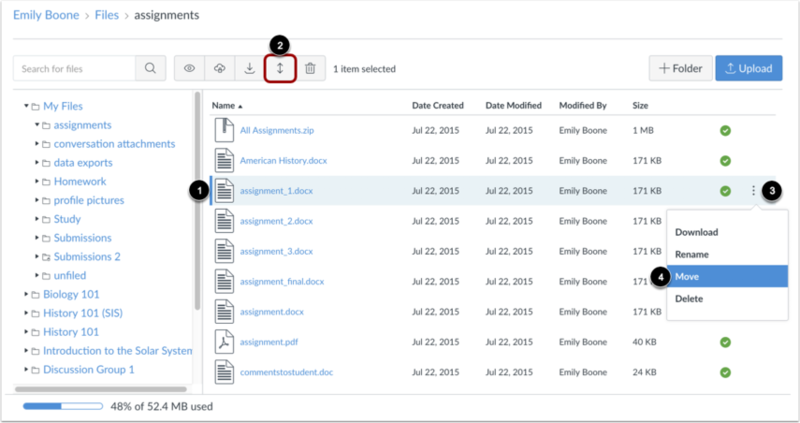 Table of Contents > Files > How do I move and organize files as a student?